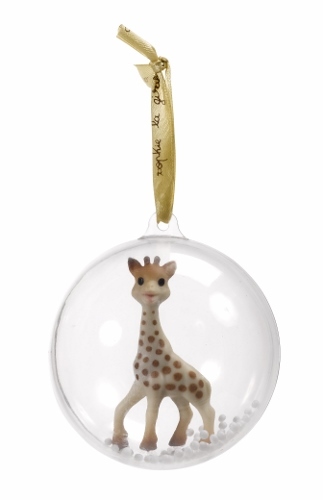 Enjoy and keep a lovely souvenir of baby's first Christmas! 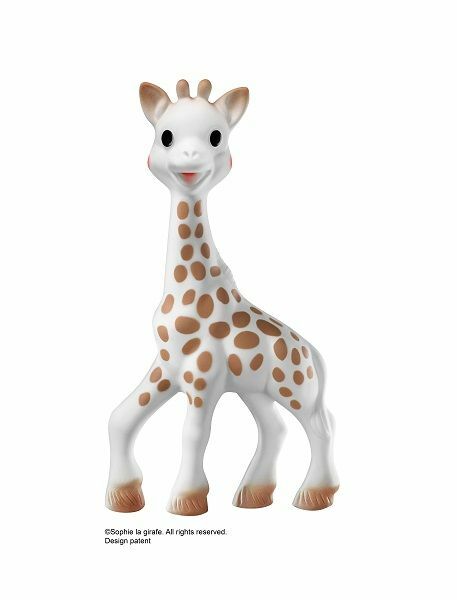 Sophie the Giraffe, baby's very first toy to stimulate all his senses. 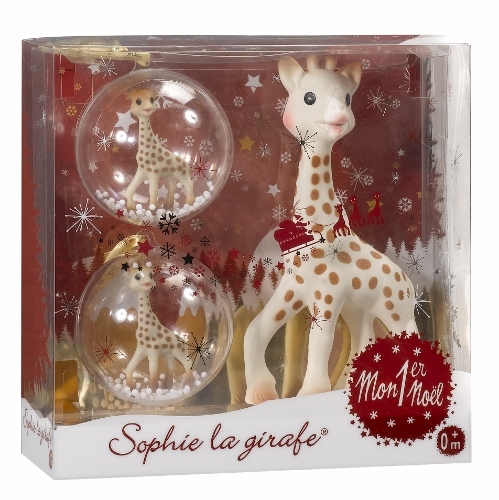 Two pretty Christmas balls with Sophie the Giraffe in the snow, to fill baby with wonder as he gazes at his first Christmas tree!